This is an exciting course designed for anyone who has an interest in theatre costume or ballet. It'll teach you how to make a professional tutu base and bodice for classical ballet dancers or ballet students. With a limit of six people you'll have the one-to-one attention you need to ensure you leave with the skills to continue making tutus at home or work. 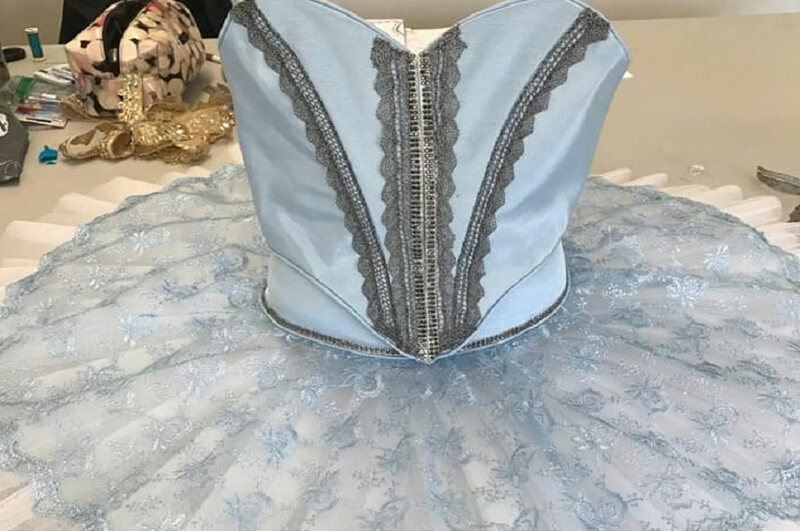 Tutu making is a unique skill allowing costume professionals to stand out in a crowd with a competitive portfolio. It's not a widely taught subject and is rarely taught to a professional standard. The course will be delivered through a number of technical lessons in order to complete the project. Examples of the finished project will be available as a visual aid and demonstrations of the various processes shown throughout. The course is ideal for an enthusiastic amateur, a parent with a child studying ballet or a dance tutor who wants a creative input in their final show costumes. It's also ideal for recent graduates who want to enhance their CV or costume professionals wanting to broaden their skills. Confident machine and hand sewing skills are required for this course, but no extensive costume or tutu making skills are necessary. The skills taught on this course would be an addition to any portfolio of work and could essentially lead to work in the costume industry. It could also be an aid to developing existing professional knowledge. Above all it will create an opportunity for like-minded people to have fun learning something new. Tutor profile: Kim Tuplin-Mace started off her career at the Royal Shakespeare Company as a men’s tailor, where she gained a wealth of experience and knowledge in historical men's tailoring. Her work has featured on period dramas for film and TV, as well as costumes for The Royal Opera House and Birmingham Royal Ballet. Kim has also worked for many theatres and pantomime companies within the Midlands as a freelance designer, maker and costume supervisor for places such as De Montfort Hall, The Curve, Derby Theatre, Nottingham Playhouse, First Family Pantomimes, Imagine Theatre Ltd and Little Wolf Entertainment. assemble the layers and understanding how to cut and construct the bodice. Browse all our fashion, textiles and costume short courses. The fee for this course is £725.